If you’re looking for a new Chrysler, Dodge, FIAT, Jeep, Ram in the Omaha area, Edwards Chrysler Dodge Jeep Ram FIAT has you covered! Our extensive inventory includes everything from the powerful RAM 1500 to the fan-favorite Jeep Wrangler. (2019 Motor Trend Truck and SUV of the Year winners!) We truly have something for everyone in Bellevue and beyond! Visit Edwards Chrysler Dodge Jeep Ram FIAT to explore the entire lineup, and get ready to turn heads in your La Vista neighborhood! Pitch Black Clearcoat 2018 Dodge Journey SE FWD 4-Speed Automatic VLP 2.4L I4 DOHC 16V Dual VVT Black Headlamp Bezels, Blacktop Package, Gloss Black Grille, ParkView Rear Back-Up Camera, Quick Order Package 22B, Rear View Auto Dim Mirror w/Display, Wheels: 17" x 6.5" Aluminum w/Blacktop Package. Edwards Chrysler Dodge Jeep Ram FIAT is proud to serve the Omaha, Bellevue, La Vista, Papillion, Blair, Plattsmouth, Ralston, Ashland, Gretna, Wahoo, Nebraska and Council Bluffs, Glenwood, Avoca, Carter Lake, Dunlap, Logan, Malvern, Missouri Valley, Oakland, Woodbine, Iowa and the whole Omaha Metropolitan Area! Vice White 2018 Dodge Journey SE FWD 4-Speed Automatic VLP 2.4L I4 DOHC 16V Dual VVT Black Headlamp Bezels, Blacktop Package, Gloss Black Grille, ParkView Rear Back-Up Camera, Quick Order Package 22B, Rear View Auto Dim Mirror w/Display, Wheels: 17" x 6.5" Aluminum w/Blacktop Package. 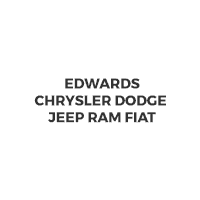 Edwards Chrysler Dodge Jeep Ram FIAT is proud to serve the Omaha, Bellevue, La Vista, Papillion, Blair, Plattsmouth, Ralston, Ashland, Gretna, Wahoo, Nebraska and Council Bluffs, Glenwood, Avoca, Carter Lake, Dunlap, Logan, Malvern, Missouri Valley, Oakland, Woodbine, Iowa and the whole Omaha Metropolitan Area! **Backup Camera**3rd-Row Seating** Our sleek and sporty 2018 Dodge Journey SE in Billet Clearcoat is sure to impress you. Powering our practical front wheel drive SUV is a reliable 2.4 L 4 cylinder engine that puts out 173 horsepower with its 4-Speed automatic transmission. Confident and composed, our Journey scores near 25 mpg on the highway. This Journey SE is sleek and sporty inside and out! The interior was designed to maximize your comfort and convenience with top-notch amenities such as power accessories, steering wheel mounted audio controls, Keyless Go, dual-zone temperature control, six-speaker audio, Uconnect voice command with Bluetooth, and a touchscreen display. This Dodge Journey provides peace of mind as well with a rearview camera, anti-lock disc brakes, traction/stability control, and airbags spanning all three rows. Life is a Journey, not a destination. So get behind the wheel...your adventure awaits! Call us now at 712-794-4210! Price, Protection, Peace of Mind...It Pays to Cross the Bridge! Edwards Chrysler Dodge Jeep Ram FIAT is proud to serve the Council Bluffs, IA and Omaha, NE metro areas, providing our customers with a shopping experience that can't be beat. We have a strong and committed sales staff with many years of experience satisfying our customers' needs. Why Buy from Edwards Chrysler Dodge Jeep Ram FIAT? We are standing by to get you behind the wheel of the model that best suits your budget and driving needs. Contact us today to get the process started; we can’t wait to work with you! When you’re having trouble deciding on a new vehicle, our model comparisons are an excellent resource. Get started today when you compare the Jeep Cherokee vs. Grand Cherokee, the RAM 1500 vs. Chevrolet Silverado, or the Dodge Journey vs. Chevy Equinox! After you drive away in a new Jeep Cherokee, why not start thinking about customizations? Explore some of our favorite Jeep Cherokee performance parts to get started.